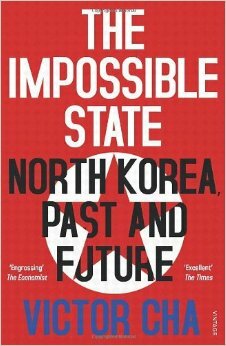 The Impossible State is an examination of North Korea and whether it will ever change. In the wake of the Arab Spring and the popular uprisings against authoritarian regimes across the Middle East and North Africa, Victor Cha wonders if this might happen to the Kim dynasty of North Korea. To do this, Cha looks at the establishment and construction of the North Korean state. It is a country with thousands of years of history and much experience of invasion and occupation. After the second World War the Koreas were split and two separate countries were created. The book gives the history of the Kim family and how Kim Il Sung came to be installed as the leader of North Korea, looking at his personal qualities, his experience and his relationships with the Chinese and Russian governments. North Korea in relation to South Korea is interesting. For several decades, North Korea was richer and more advanced than South Korea. This was partly to do with financial support from China and Russia but also partly to do with chaos and mismanagement in the South. What’s worth noting is that the current situation wasn’t inevitable. Cha was foreign policy advisor to several US presidents and is well placed to understand North Korea and its place in the international system. It wasn’t always as isolated as it is now, with even China’s support hesitant and reluctant. Much of the book is focused on North Korea’s pursuit of nuclear weapons and the motivations behind it. Cha credibly argues that there is no way that North Korea will willingly stop developing nuclear weapons. It is the only leverage they have and the last twenty years have seen it work pretty well. They saw Qaddafi give up his nuclear enrichment programme only to be invaded by the US and the North Korean regime has a strong incentive to maintain its own development. And finally, will there ever be a popular uprising? Cha thinks it’s unlikely. The control the Kim family has over the population and the way the cultural narrative has been manipulated has resulted in a people that have very little access to the outside world. Popular uprisings depend on the belief that life could be better, because it is seen to be better elsewhere. The North Koreans don’t have that belief. They have been told that life is much worse outside their own country and denied access to any information that might suggest otherwise. This is a fascinating book. I haven’t read anything about North Korea before and much of this was new to me. I can’t tell you if there are better books out there, but if you want to know how North Korea became the impossible place it is now, then this is a good place to start. It’s a dense book with a lot of erudition but Cha’s writing style is light and pacy, so it never feels as heavy as it actually is. A surprisingly easy read and I enjoyed it. In a world where virtual reality is inside everyone’s head and you can choose to be someone else if you tire of your own personality, somethings are still illegal. Like being crazy without a license. Seeking altered states of consciousness and living an impulsive, directionless life, Allie Haas tries a black market trip into paranoia. It leaves her unconscious and dying and her dealer drops her off at a mental drycleaner, leading to both of them being arrested. Allie is offered a deal: train as a mindplayer to facilitate the work and games of others, or be imprisoned. She takes the deal. 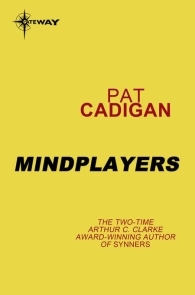 Mindplayers is a fascinating exploration of our inner mental worlds and how we use narrative to create ourselves and our lives. Allie finds intimacy with others in the mental realm, discovers what happens when someone has their personality stolen and helps other discover meaning in their creative work. It’s like meditation and psychology combined, enhanced and lifted to another level. What might be possible if we could have such insight into ourselves? I really enjoyed this. It combines great storytelling with serious exploration of science and technology and its impact on humans. Science fiction at its best.